Performers include: Jack Cutmore-Scott, Meaghan Rath, James Earl, Charlie Saxton, Justin Bartha, and Liza Lapira. 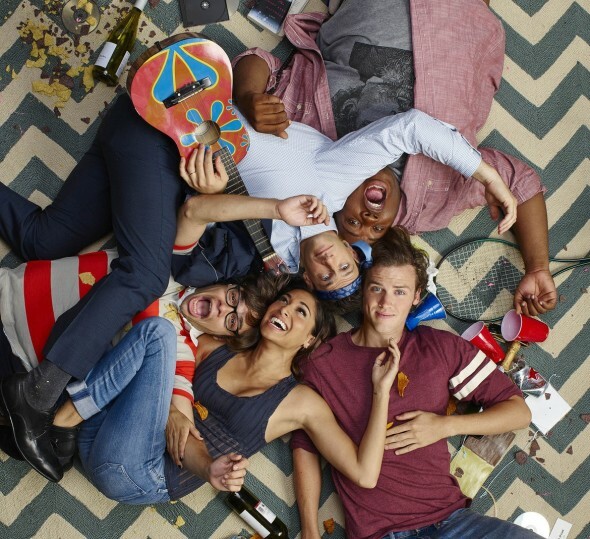 This coming-of-age sitcom focuses on life after college. Breaking the fourth wall, Cooper Barrett (Jack Cutmore-Scott) documents all the stupid mistakes he makes in his young adult life, where he goes wrong, and how he gets through. Fresh out of college, Cooper moves in with his best friends Neal (Charlie Saxton) and Barry (James Earl), and falls for neighbor, Kelly Bishop (Meaghan Rath). Cooper doesn’t know what he wants to do with his life, but he knows he doesn’t want to keep marketing the Tiger Thrust energy drink. Already crushing on Kelly, Cooper is goaded into kissing her at a Clippers game, by the “kiss cam.” When she responds, he freaks out and flees for the men’s room, risking their friendship. Nebbishy Neal is still a virgin, when he meets a female bodybuilder who wants to relieve him of the condition. He remains with her, because he is too timid to initiate a breakup. The “lovable jackass” Barry can’t stop screwing up. After the gang’s new TV is stolen at their housewarming party, Barry doesn’t let the issue go for the next two years. When he finally tracks down what he thinks is the TV and steals it back, it’s the wrong brand. Barry’s theft victims hold Cooper hostage, until Neal, Barry, and Cooper’s big brother Josh (Justin Bartha), meet up with them and give them a brand new television. Married to Leslie (Liza Lapira), and the father of two children, Josh is an attorney. He feels he missed out on young adult fun by starting his career and family so soon after graduating. To recapture his youth, he sneaks out to hang with Cooper, Barry, and Neal. What do you think? Do you like the Cooper Barrett’s Guide to Surviving Life TV show? Do you think it should have been cancelled or renewed for a second season? A+ for the “parker lewis cant loose” styleee!!! Anyone old enuff to agree??!!! Hulu needs to grab this one!!!! I like it, it reminds me of an adult “Ned’s Declassified School Survival Guide”. Can we say Ferris Bueller? Hellyea!!!! Remember “parker lewis cant loose” on tv (80s, i thimk….) ????? ?